Looking for a paintball day out with a twist? Delta Force Paintball offers just the ticket. We can arrange to come to your premises and provide a bespoke paintball event exclusively for you and your guests. If like Roger Taylor (Queen drummer, and client of Delta Force) you have a massive private forest – it’s so easy! For those lucky individuals who have access to private woodlands or grounds, we can visit your premises and supply you with a unique paintball event that’s tailored exclusively for you and your guests. We can also arrange an event if you are looking into hiring a private field; we’ll bring our inflatable ‘Supair’ game zone for your guests to experience. We can also provide marshalling staff and all our top of the range equipment to deliver a great day out, no matter the occasion. 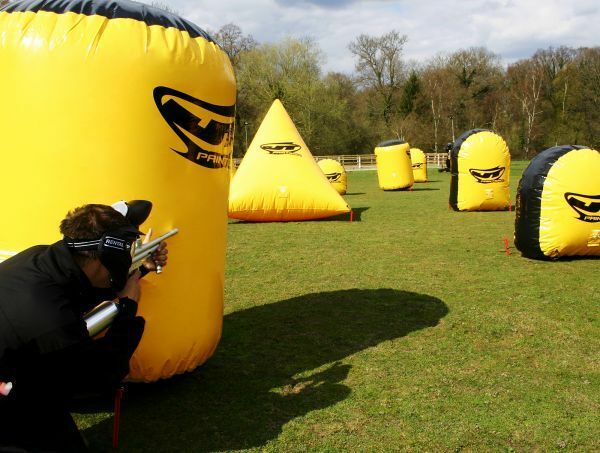 If you are interested in hosting a mobile paintball event in your own backyard, please contact one of our friendly event co-ordinators on 0203 869 9301 for more details. Our staff are available 24/7 to go through the requirements and necessary information needed in order to set up your bespoke paintball event.